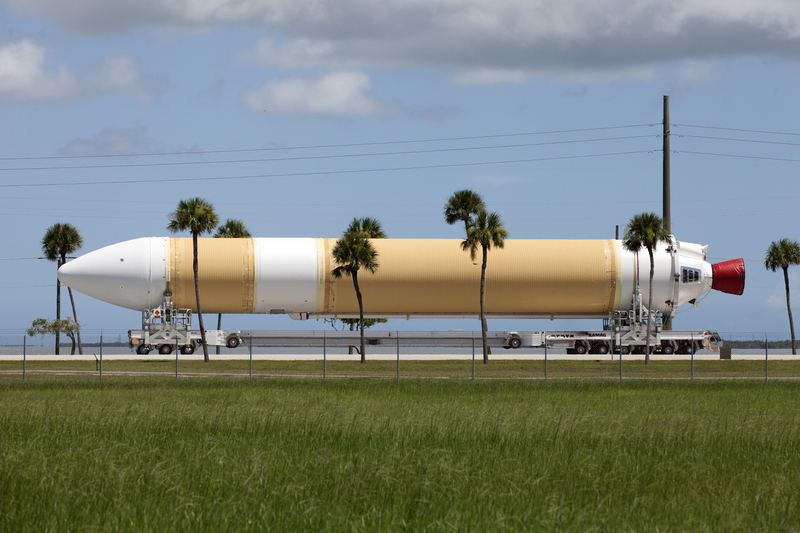 Framed by a series of cabbage palms, a United Launch Alliance Delta IV Heavy common booster core is transported by truck to Cape Canaveral Air Force Station’s Launch Complex 37 Horizontal Processing Facility after arriving at Port Canaveral. The Delta IV Heavy will launch NASA’s upcoming Parker Solar Probe mission. 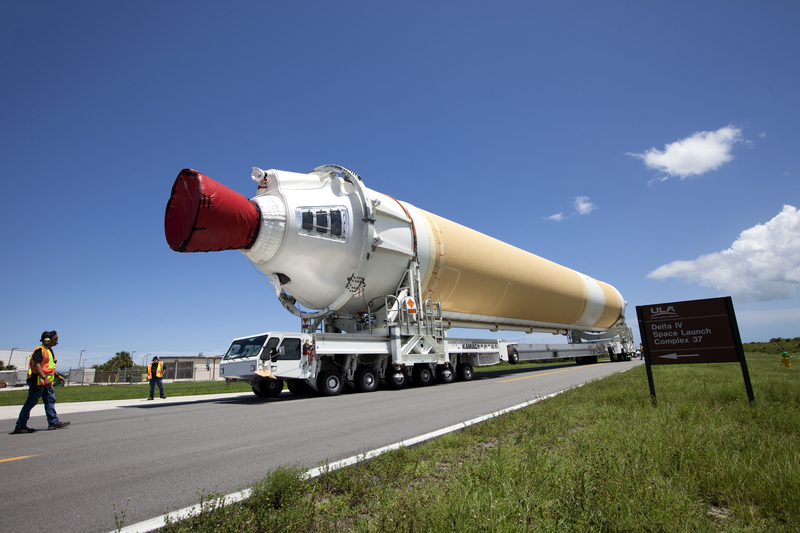 A United Launch Alliance Delta IV Heavy common booster core is transported by truck to Cape Canaveral Air Force Station’s Launch Complex 37 Horizontal Processing Facility after arriving at Port Canaveral. The Delta IV Heavy will launch NASA’s upcoming Parker Solar Probe mission.